At the Lawrenceville cosmetic dentistry practice of Dr. Bruce E. Carter, we know that your smile is important for your social and business connections. Your smile doesn’t just reflect your emotions. It offers the people you meet a glimpse of who you are. We want you to convey the right message with a spectacular smile. Dr. Carter is passionate about cosmetic dentistry because of the life-changing results it creates for our patients. Nothing will improve your confidence and outlook on life like a beautiful smile. 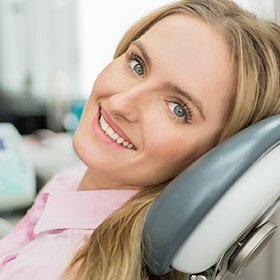 Why Choose Transforming Smiles for Cosmetic Dentistry? 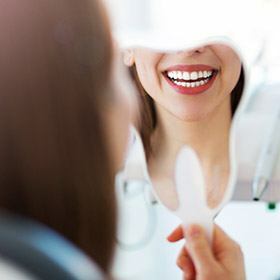 With training in cosmetic dentistry, including coursework through the renowned Pankey Institute and the LSU Cosmetic Dentistry Continuum, Dr. Carter can correct imperfections so that you can enjoy a gorgeous, bright smile. 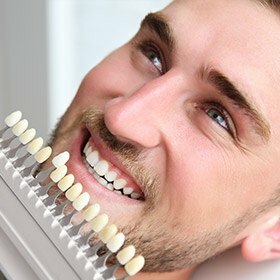 To whiten your teeth, we offer professional teeth whitening. With our Brighter Smiles for Brighter Futures program, you can fight cancer and whiten at the same time! Other cosmetic dentistry options at our Lawrenceville office include bonding, porcelain veneers, porcelain crowns, and smile makeovers. 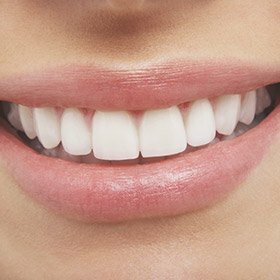 With a 3D wax-up model, Dr. Carter can show you the outcome of specific cosmetic dentistry procedures. This means that before you begin your cosmetic treatments at our Lawrenceville office, you can see what your new smile will look like! With your approval, Dr. Carter will use the wax-up model to design your final restorations and your spectacular new smile. View our Smile Gallery at any time to look at the beautiful improvements we’ve achieved over the years. Porcelain veneers are ultra-thin, painstakingly customized dental restorations that are designed to cover just the front surfaces of your smile, creating comprehensively beautiful cosmetic changes all at once instead of requiring patients to undergo several different procedures. You can even use them to alter the shape, length, or general size of certain teeth! They’re seamlessly lifelike, resistant against staining, and built to last for many years to come. When your smile is in need of a new dental crown or similar restoration, traditional, unnatural-looking metals are no longer the default! Instead, Dr. Carter is proud to primarily offer porcelain crowns, composite resin fillings, and other image-friendly alternatives that will help your smile maintain a high level of self-confidence. In addition to the clear aesthetic benefits, the metal-free, biocompatible nature of these materials is also safer and more comfortable for the patient. 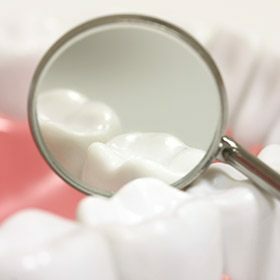 Even those who have struggled with allergies to amalgam in the past can receive them without worry. When you smile into the mirror, do you love what you see? If not, it’s understandable. 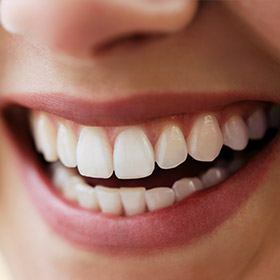 Very few of us were born with perfectly straight, white teeth. In Lawrenceville, Dr. Carter and his staff have often noted that after completing a cosmetic dental procedure, our clients not only smile more but carry themselves with greater confidence. When you look and feel good, you can’t help sharing it—and the world smiles right back at you! Direct bonding is a fast and conservative method for correcting relatively minor imperfections (such as chips in the enamel, stubborn dark spots, and thin gaps) in as little as one visit. If you’re unhappy with the current brightness level of your teeth because of stains or dull discoloration, let Dr. Carter lend a helping hand. Our professional solutions are leaps and bounds ahead of any whitening product you could find on the local pharmacy’s shelves, providing shade improvements in as little as one appointment. Patients can choose between in-office whitening with Opalescence or a take-home kit that can be used on their own schedule. Oftentimes, patients don’t know where to start when it comes to improving their smile’s appearance. Thankfully, Dr. Carter excels at more complex treatment plans and can work with you closely to devise the ideal smile makeover. This process will involve an in-depth discussion regarding the specific goals you have in mind for your appearance, leading to a 100% personalized course of action that should result in exceptional improvements. Oftentimes the gum tissues cover excessive amounts of the tooth enamel, giving the patient a gummy smile or the appearance of very short, wide teeth. When this is the case, Lawrenceville cosmetic dentist Dr. Carter can surgically remove the excessive gum tissue through an aesthetic recontouring procedure so that the entire tooth can be seen and the appearance of the smile is improved. Dr. Bruce E. Carter is very passionate about cosmetic dentistry, and he can’t wait to help you explore your options. Our Lawrenceville dental office is conveniently located for Gwinnett County, Atlanta, Duluth, and Suwanee residents. Call today and schedule a cosmetic consultation.